IPL 2019: Sarfaraz getting mentored by the best would be a relief for Indian cricket fans. IPL 2019: MS Dhoni has immense experience and passing the knowledge to the next generation is something the two-time World Cup-winning captain has done frequently, be it to Rishabh Pant or Ishan Kishan. 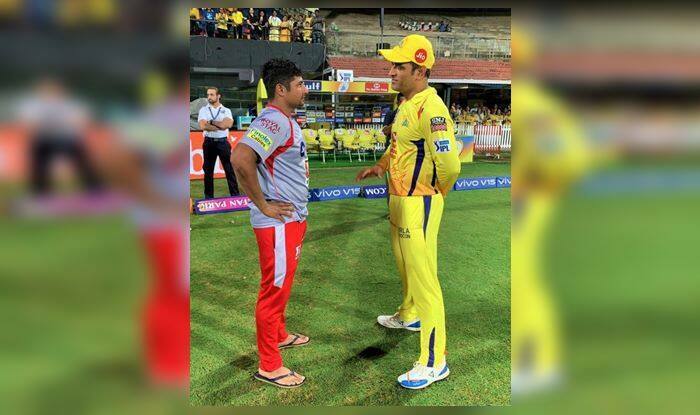 The 37-year-old veteran was spotted passing words of wisdom to young Sarfaraz Khan which is a sight to behold for Indian cricket fans. The 21-year-old young batsman is hailed as the next big talent and then to see him getting tutored by the best is a relief for fans, who would believe the young cricketer is in good hands. The pint-sized dynamo Sarfaraz with a 59-ball 67 top-scored for Kings XI Punjab, who lost the match by 22 runs.